My colleague, Follen, was happily lugging around an iPhone in the office which is her sister's but is going to be hers soon. She was having a problem, however, with connecting to our WiFi and so she was consulting me about it. To make the long story short, she connected the phone to iTunes and accidentally upgraded to version 1.1.4! And that meant... her phone got locked! Worried, she was already making plans of going to the mall by lunchtime to have it unlocked. But we'll have none of that. I googled for a way to unlock the iPhone and we found our way into ZiPhone. It boasted that it can unlock iPhones easily. So why not try it? She downloaded both the PC and Mac version but in the end, used the Mac version instead. 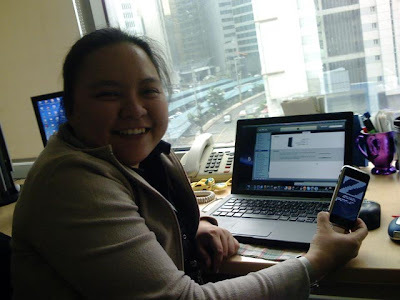 She connected the iPnone via its USB cable, turned it on, activated ZiPhone, and clicked "unlock, jailbreak, activate" mode. Voila! The phone was unlocked in a couple of minutes. And best of all, the contents of the iPhone were retained. Thanks ZiPhone!